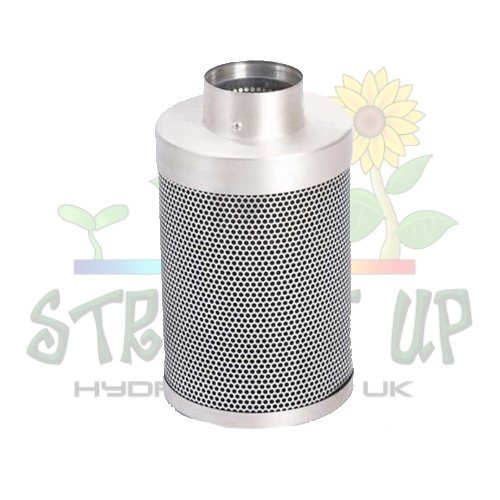 The 100mm Filter Kit is an ideal solution for keeping air flow and air filtration going in a small area! Please use the drop down menu to change options! 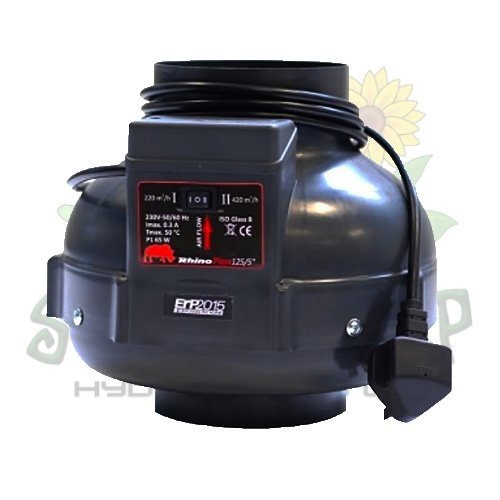 In an indoor garden, air exchange is a very important part of the process. 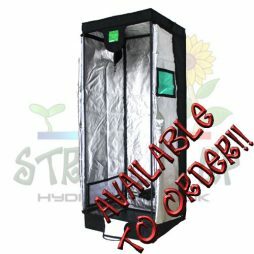 If left without it, the plants in a closed environment will quickly use up the available CO2 and can therefore become far less active in terms of growth. It is the carbon dioxide that the plant uses to create sugars in the chlorophyll. 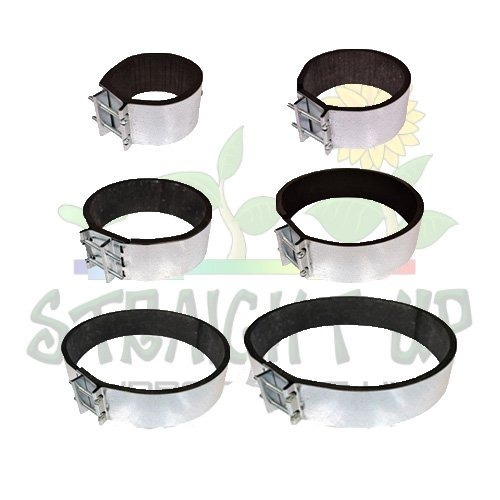 This in turn powers the plants processes and fuels growth. Plants outdoors have a plentiful supply of CO2 so for them it is not an issue. 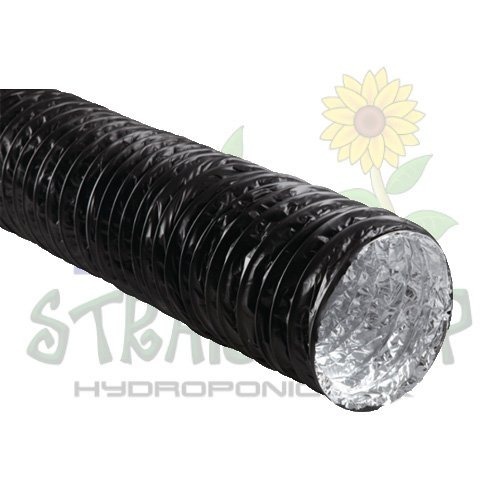 Indoors, many growers use a Filter Kit to keep air flowing as it should. Can’t I just use a fan instead of a 100mm Filter Kit? 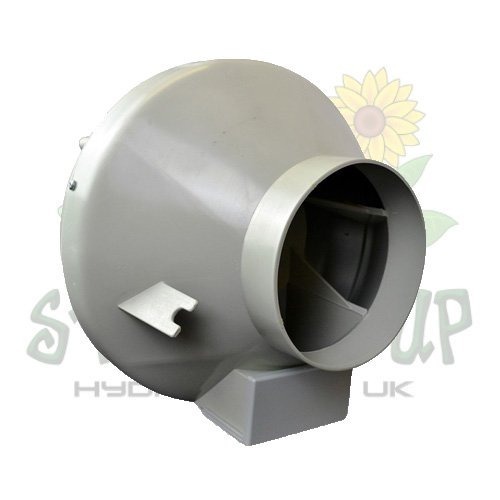 When you grow plants indoors, especially in a tent or the like, the air can quickly become quite odourous. 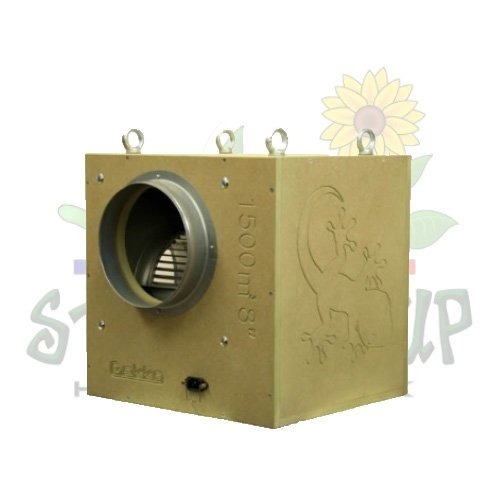 While this may not be an issue outdoors, the smells can build up in a home and make an unpleasant environment to be it. This is especially true if the vent is into a room, not outdoors. 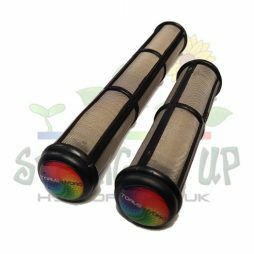 A carbon filter is full of pelletised carbon which adds up to a truly enormous surface area that captures and holds odour causing molecules. It is a myth that carbon destroys smells, it simply absorbs them and holds onto them. For this reason, do have a limit to their life span. 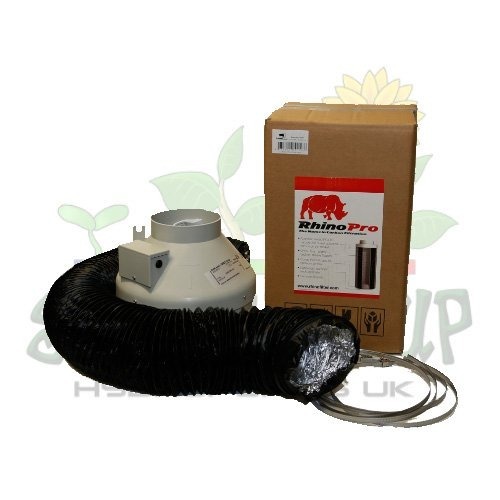 Depending on conditions, a Rhino Pro Filter will last 2-3 years and a Rhino Hobby filter will last 12-18 months. 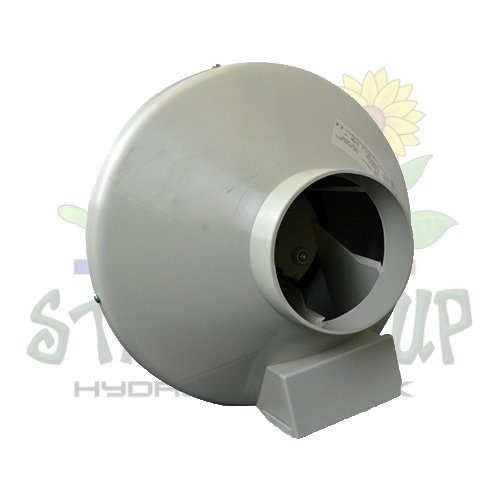 Relative humidity plays a big part, as high moisture levels reduce the life as the carbon absorbs this, instead of smells. 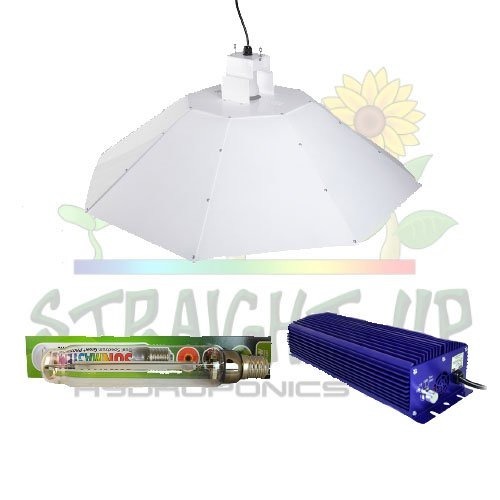 At Straight Up Hydroponics, we have access to lots of brands of fan and filter, if you want something specific. We only have so much space on shelves so we cannot stock everything! If you have seen something you’d like to try, and we don’t stock it, please call us to see if we can source it for you. 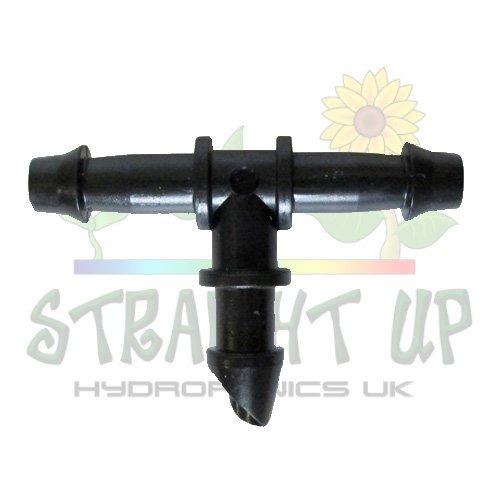 If you want to buy it in a kit like those here (fan, filter, ducting and 3 clips), we’ll even make it into a kit for you and apply the standard discount! 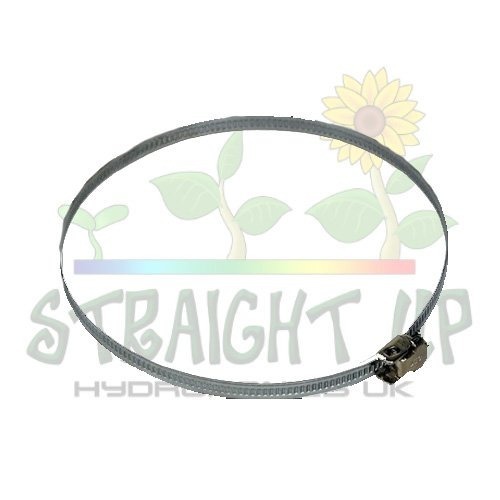 We have a range of extras that you can use with the 100mm Filter Kit. To see these accessories and more, please click this link.